"Business schools need to teach students more about sustainability." I have lost count of the number of times I've heard this declaration from business leaders around the world. Jo da Silva is a social intrapreneur. A social activist who absorbed her parents' strong sense of community, coupled with a deep sense of compassion cultivated through early travels in Turkey, the Middle East and India, Jo is committed to developing and applying her engineering skills to solving societal problems. Madonna and I have at least two things in common. We both like her music. And we are both defined as “older people” by the UK government. I recently reflected that if Madonna and I count as “older people”, perhaps society needs to adjust its perceptions and language, in preparation for what some commentators have described as the world’s ageing tsunami. MBA students frequently ask me if businesses can ever be truly sustainable. Or if behind the mantras like “people, planet, profit”, do businesses really always want more people to consume more? Students seem genuinely troubled over whether enhancing shareholder value and true sustainability can be really reconciled. I believe they can. Organisations can no longer choose if they want to engage with stakeholders or not; the only decision they need to take is when and how successfully to engage. When organisations don’t engage stakeholders successfully, they can lose out, with consequent negative newspaper headlines. Stakeholder engagement is relevant to any type of organisation: business, public or civil society. It is particularly important in the context of running an organisation responsibly and is integral to the concept of Corporate Responsibility. The authors are pro-business although not business-as-usual. 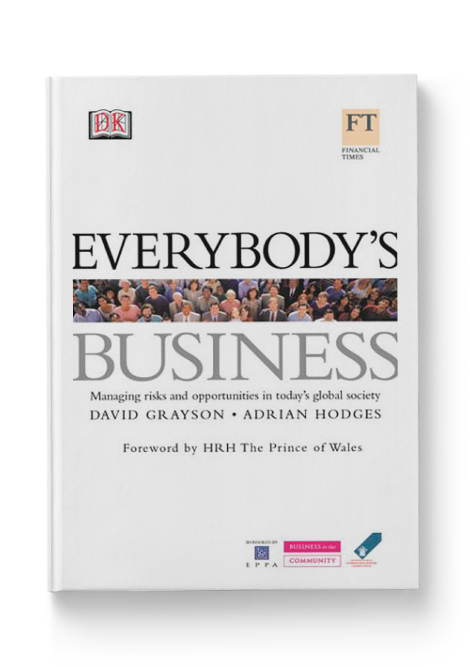 The book is written first and foremost with the purpose of helping to improve business performance, because business is after all the principal motor for growth and development in the world today. 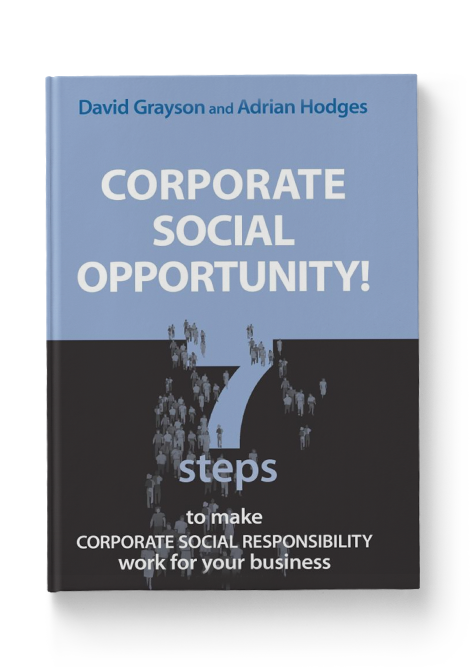 The authors argue that companies adhering to best practice in CSR and taking advantage of possibilities inherent in "Corporate Social Opportunity" are good for shareholders as well as customers and employees. Demonstrating the benefits of becoming a responsible company in the global economy, this guide provides a seven-step solution to successfully manage the opportunities and risks relevant to your company. Empowering individual managers to share the benefits of globalization, it shows how the "soft" issues of management are now the 'hard" issues, and how they impact on the bottom line.